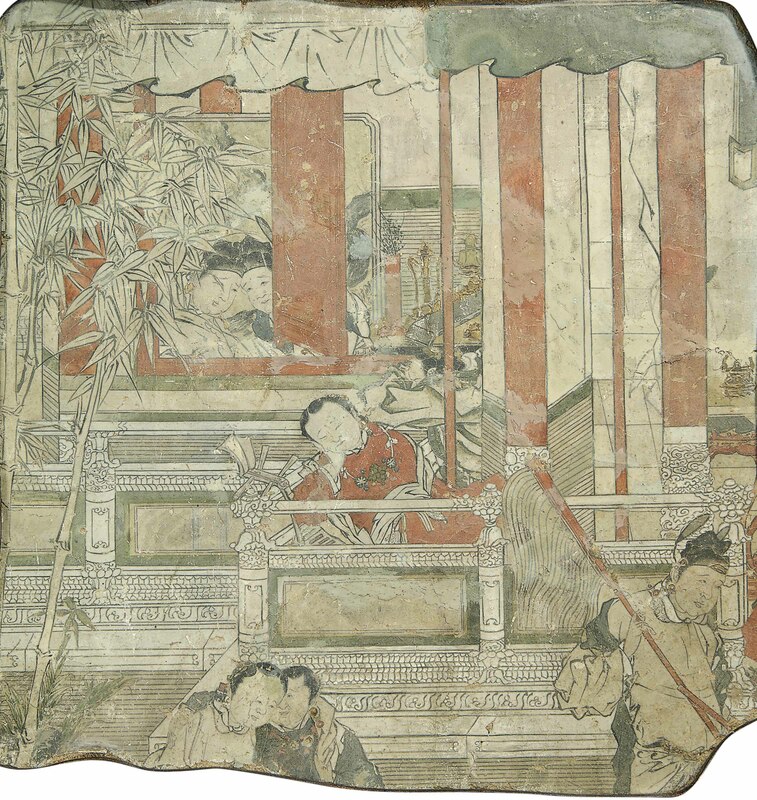 It is painted with a central musician with a qin sleeping on a balcony terrace whilst two couples embracing. There is also an attendant holding a fly whisk in the foreground. With Spink & Son, London, May 1972, George de Menasce Collection, no. 243.